This is a bedroom with double bed, wash hand basin, tea/coffee making facilities and colour TV, adjacent to a private bathroom equipped with shower, toilet, and wash hand basin. 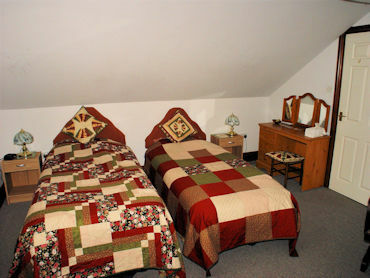 The double room is on the ground floor with easy access for anyone with a disability. 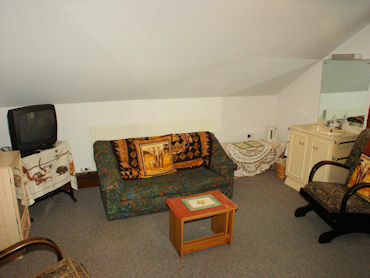 There is also a bedroom with twin beds, and wash hand basin, tea/coffee making facilities and colour TV. This room will only be let in conjunction with the double bedroom as it shares the bathroom facilities. These bedrooms occupy an area of the cottage which is self contained and ideal for a family or friends travelling together. Either room may be booked independently in which case the other room will not be let as they share the bathroom facility. 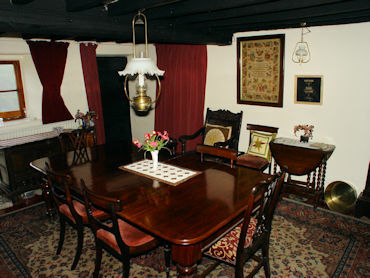 Other meals are available locally in Llangollen, Froncysyllte and Chirk. Tariffs range from £35.00 - £40.00 dependent upon rooms occupied and duration of stay with appropriate reductions for children.